Nine months after Yahoo CEO Marissa Mayer gave birth, she is extending Yahoo's parental leave policy. Both new mothers and fathers at Yahoo can now take eight weeks of paid parental leave, and the mothers can take an additional eight weeks. What's more, new parents will also receive $500 to buy items like groceries and baby clothes. It's part of a slate of new benefits "to support the happiness and well-being of Yahoos and their families," the company confirmed via email. NBC Bay Area first reported these changes. Other new perks include gifts for new pets, and eight weeks of unpaid leave each time an employee hits a five-year milestone. Yahoo didn't confirm its previous maternity leave length, but the new policy is more in line with those of other Silicon Valley tech companies. Google (GOOG), Mayer's former employer, offers seven weeks of paid leave for parents who did not give birth, while new mothers can take off between 18 to 22 weeks. Facebook (FB) offers four paid months for both parents and a whopping $4,000 in "baby cash." Yahoo's parental leave extensions come just two months after Mayer banned telecommuting at Yahoo, setting off a debate about the merits of working from home. Mayer later said the change "was wrongly perceived as an industry narrative," when she felt it was simply the right thing to do for Yahoo (YHOO) right now. But as a female CEO and new mother trying to turn around an aging former tech titan, Mayer faces increased scrutiny on every decision she makes -- especially when it relates to juggling family and career. Mayer revamped the company culture quickly after she took the reins in July 2012, encouraging Yahoo teams to work more quickly and offering Google-esque (GOOG) perks like free food. Under her watch, Yahoo announced it will return $3 billion to shareholders after selling back some of its stake in Chinese company Alibaba. Investors cheered Mayer's business moves, but pundits panned some of her personal decisions. 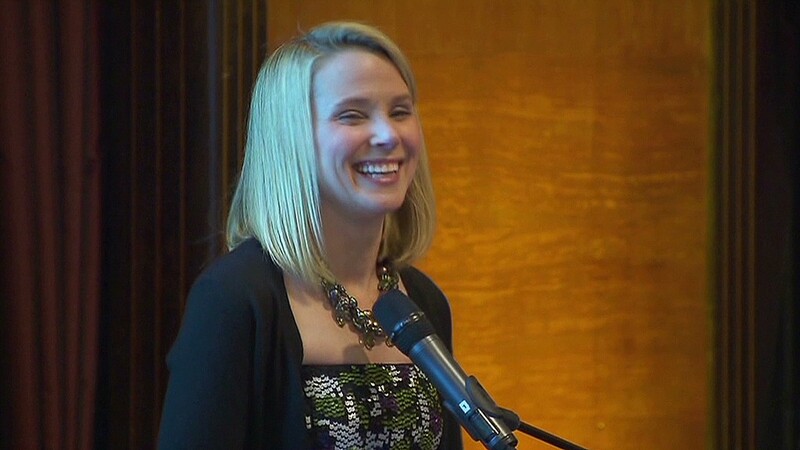 Mayer was pregnant when she accepted the Yahoo job, and she gave birth to baby Macallister on September 30. She worked while she was out of the office, and came back to work just two weeks later. Outraged critics slammed Mayer for setting a bad example for other mothers, and pointed out she has more resources than do most working moms -- including a reported nursery built next to her office. Mayer has a lot of turnaround work to do at Yahoo, and she seems to be focusing more on those problems than on gender politics and work-life balance issues. But the new parental leave policy should quell some of her critics.